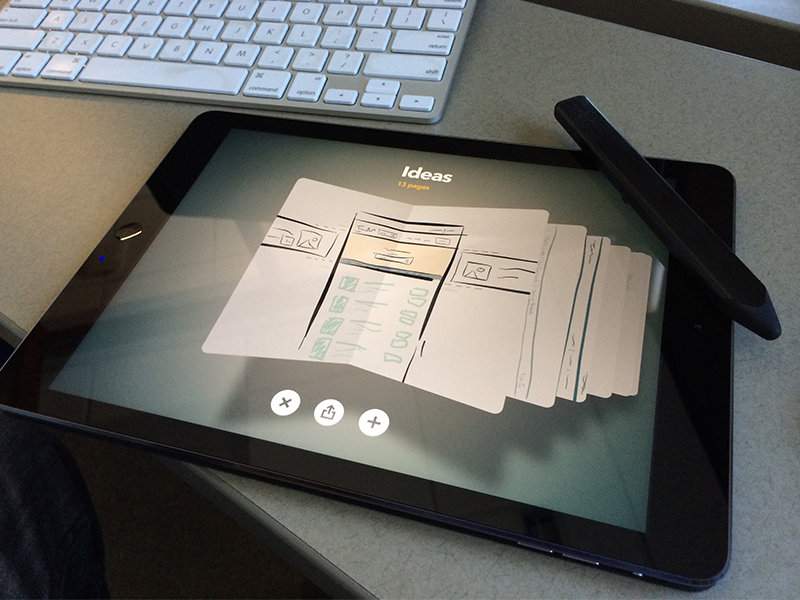 I enjoy crafting interfaces & designing meaningful experiences. I'm Bobby G. Bray Jr., I first attended Herron School of Art and Design studying visual communications, then went on to receive my B.S. in graphic design from The Art Institute of Indianapolis with an emphasis on branding, advertising, print, and web design. I've since worked & partnered with a lot of amazing technology companies, ultimately expanding my craft into creative/art direction and software product design. I have experience designing across platforms (web, tablet, phone, iOS, Android, emerging technologies) and mediums, with a focus on brand and product design. As an Experience Designer, I strive to make emotionally engaging experiences with a user-centered approach. My goal is to touch people by creating interactions and flows that are simple, solve a big human need, and that work flawlessly. 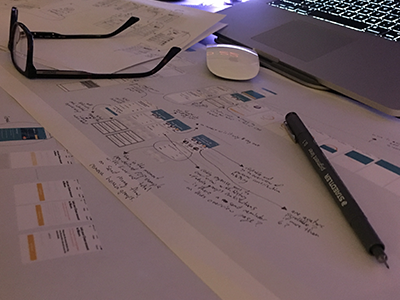 Design has so many moving parts and the experience portion of the work is the most difficult, it requires a GREAT understanding of how development works and the specific environment you're working in. It requires an extensive understanding of interaction models, behavioral science and visual language constraints. Way beyond just the physical pixels... (but I really enjoy those too)! In a Creative Director position, I must play a role with each of the team members involved in the product and brand processes, all while building empathy for users and marrying what they actually need with what the business wants to get in return. Tying everything together, and making process improvements where needed. As a trained Innovation Catalyst from Intuit, I also coach leaders and teams across entire organizations using design for delight techniques, approaches and rational, in order to build and maintain the culture that fosters engagement and encourages innovation – a culture where emotionally engaging products that people love can be created. Evoking positive emotion by going beyond customer expectations in delivering ease and benefit throughout the customer journey. A few of the pieces have separate full pages that show a little more of the project, for now, most link to their associated Dribbble or Behance post. Unfortunately, I'm not accepting new work at the moment, but I always enjoy meeting new people, so if you like what you see, feel free to say hi. Problem: Take a house of brands and turn them into a branded house. Making Intuit the core brand with its main cornerstones more of a family of brands that play nicely together in a ecosystem designed around simplifying the business of life. 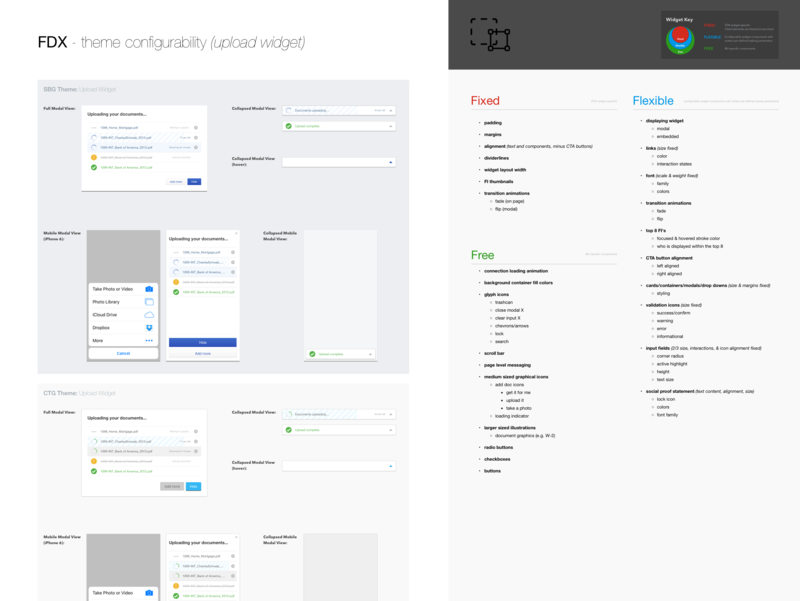 A glimpse of a few iOS UI iterations I went through for the first version of our native OS authentication experiences. 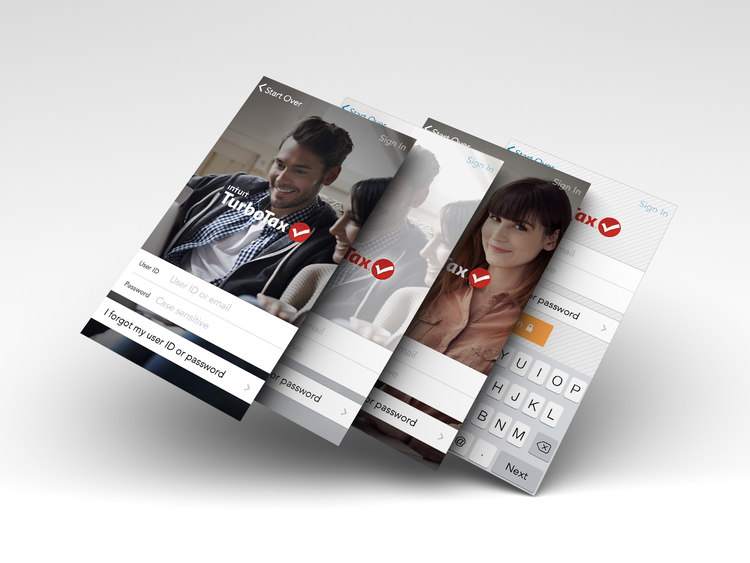 Created the authentication UI's while working with 1 domain specific interaction designer and his entire team of engineers/PM's, also used the core TurboTax UX team as reference to incorporate this component/widget into all platforms. A glimpse of a side project i've been working on. Problem: Create a widget that has configurable parameters in order to allow multiple product teams to adopt the best in class document upload widget, while still giving their individual users a seamless experience. 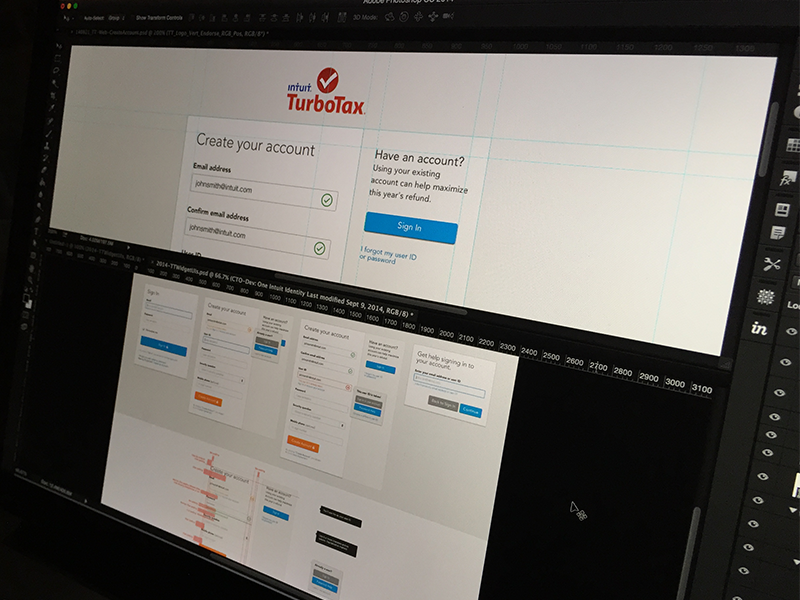 Dialing in the animations & transitions for the returning user experience of our identity widget that's used within Intuit's TurboTax mobile applications. Quick project to create a seamless in-app experience to gain customer insights from a suite of applications for small businesses. 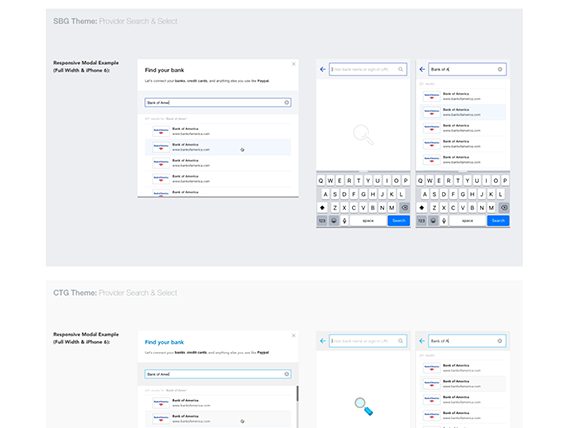 Problem: Create a widget that has configurable parameters in order to allow multiple product teams to adopt the best in class account connection search and select widgets, while still giving their individual users a seamless experience. 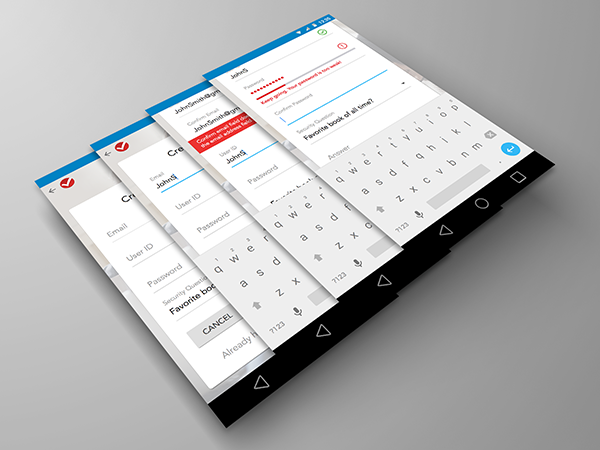 A glimpse of the native Android authentication experience we built this year. This was one of the UI revs that I preferred - showing part of the Create Account flow and error validation UI. 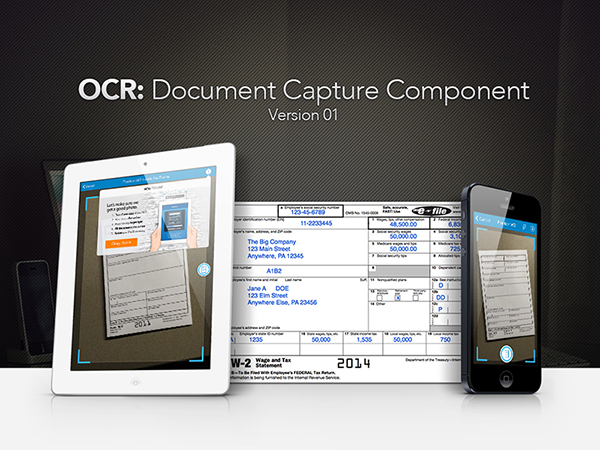 Utilizes the top utility bar, giving the user context to the time while doing their timely taxes. 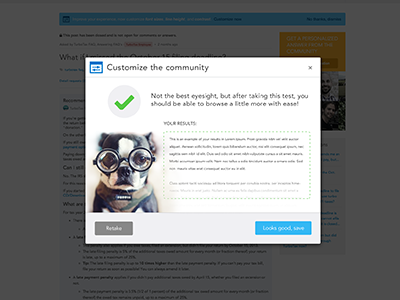 This version also uses a background marketing image, calling out the form/card, while giving the sign in/up experience more visual delight, and bringing consistency from the web marketing site. I created the UI's while working with 1 domain specific interaction designer and his entire team of engineers/PM's, also used the core TurboTax UX team as reference to incorporate this component/widget into all platforms. Problem: Creating design documentation for configurable widgets, showing every state and how every element in each state is styled / configured. Worked with a team of 2 engineers to solve the problem of making a web-based question and answer community platform more customizable and useful to fit the wide user base. 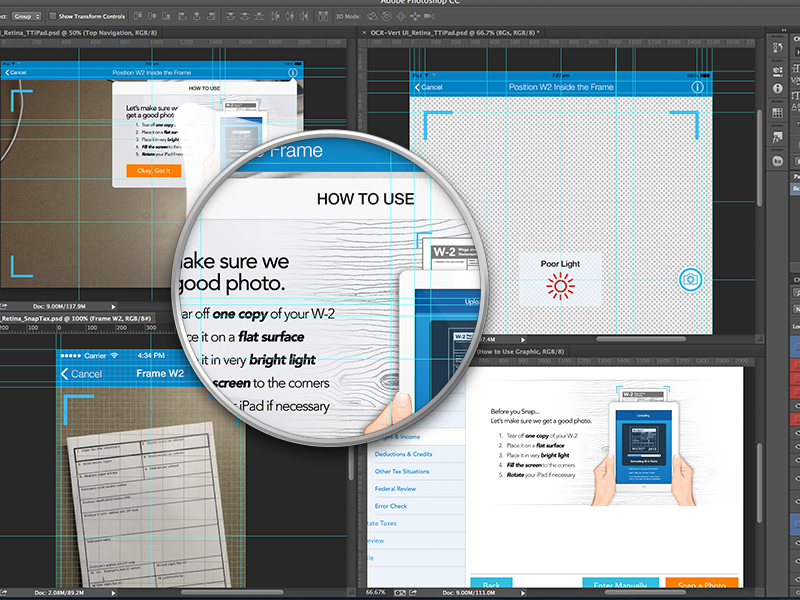 Also was apart of the team that did the initial redesign for the new platform, Intuit wide. 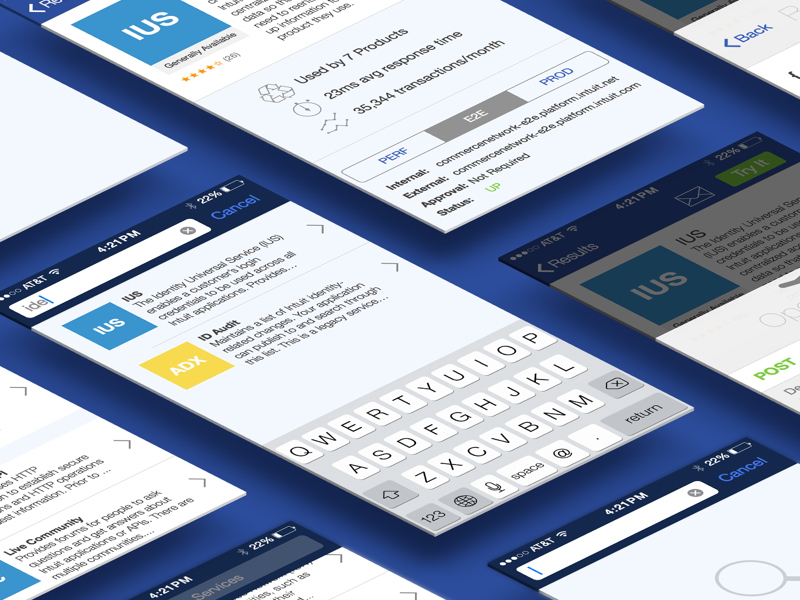 As the sole in-house designer, I created the first version of the entire branding, UX/UI and marketing website/collateral for NewBlue, Inc's mobile and web apps, Vibop. Working as a startup with 1 PM, 1 engineers, and a video/motion designer. 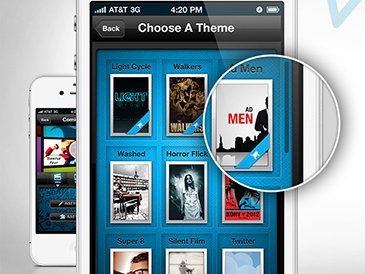 Vibop is a theme based video editing app in the Apple App Store and on YouTube Create. 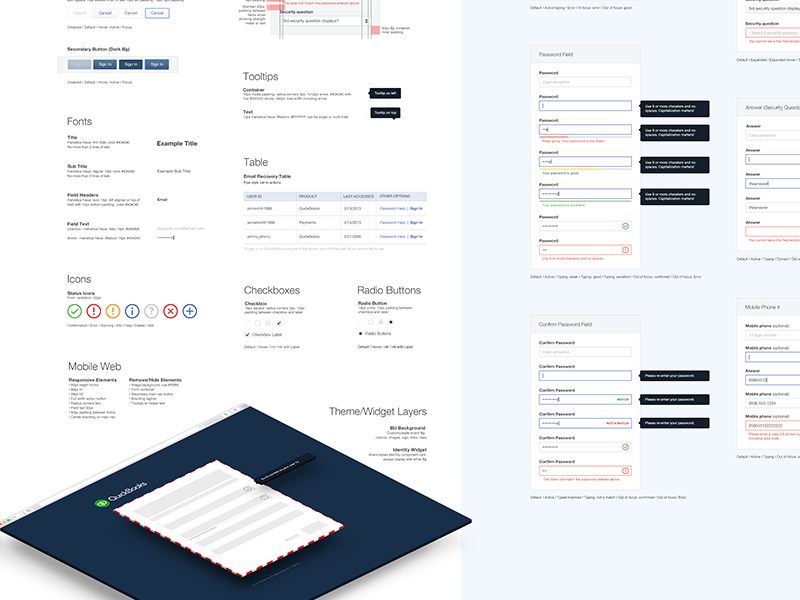 Glimpse of an internal "whitespace" project I worked on. Still need to clean things up & finish the UI completely, but wanted to share the time boxed version first. 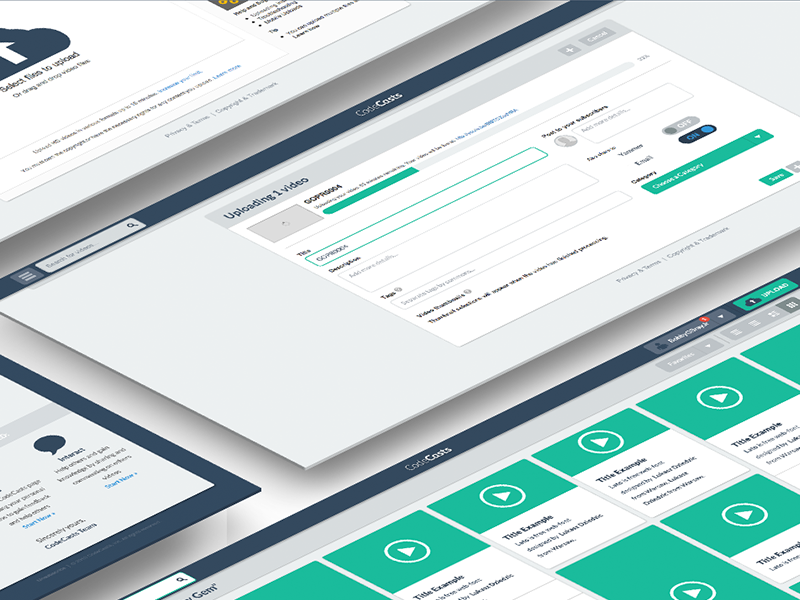 I created the UX/UI on this project while working with a team of 5 engineers to run experiments, validated the concept, and built the entire platform in 3 days. 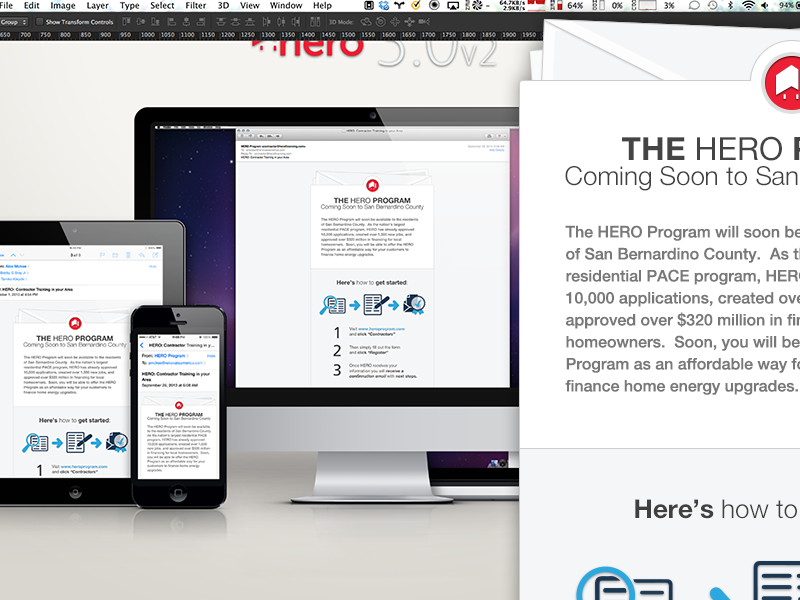 Glimpse of an internal whitespace project I worked on a while back. Still need to clean things up & finish the UI completely, but wanted to share the time boxed version first. 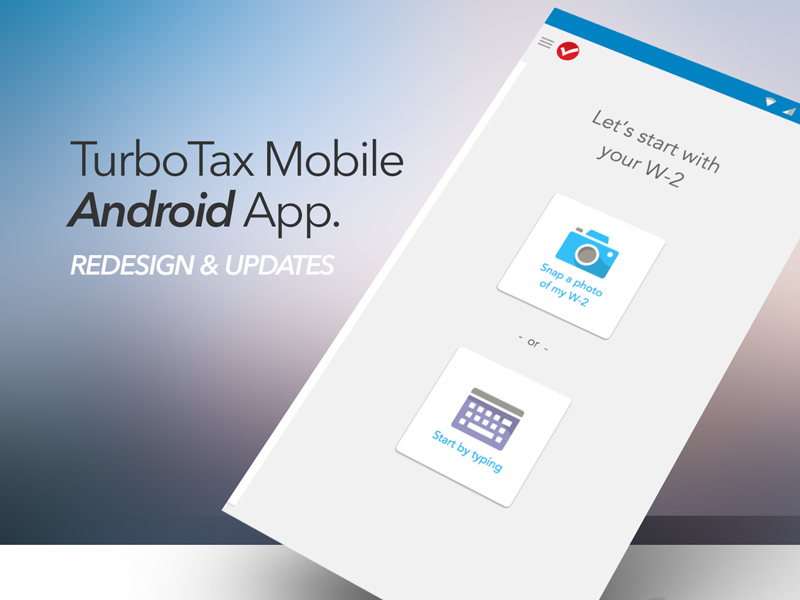 A quick initiative to create the UX/UI for a mobile component/widget that could be embed within multiple applications, could be themed to make the experience seamless, and the first adopter which needed it within weeks was the TurboTax mobile application, SnapTax. Initially designed for W-2 import, then was expanded to support checks, receipts, and multiple other tax documents, in support of all our other small business/accountant products. High level corner shot of a sign in/up pattern & styles document I was working on to add to one of our internal style guides, Harmony... which covers the QuickBooks ecosystem. 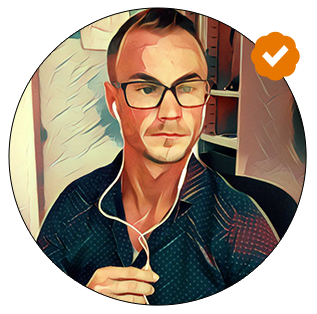 I used existing patterns/styles to apply to our authentication widget while working with 1 domain specific interaction designer, also using the core Harmony UX team as a reference. Been utilizing FiftyThree's Paper App a lot! Anything from idea generation, to brainstorming, to helping engineers, and even full user flows. Created a simple HTML email template that will work across a few different email types, as well as updated our internal Developer Portal's visual appearance from the current all type solution. Created this new icon a while ago to brand the visual framework service I've been working on. Then got the itch to see it actual move and come alive... soooo, I took a quick stab at seeing what it would look like as an intro animation on the homepage. Animation created with AE & PS. 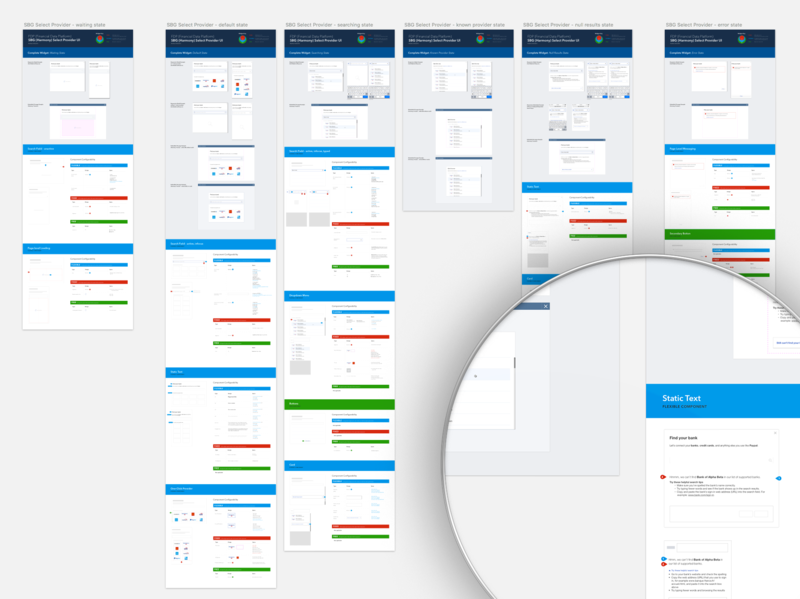 This was part of a visual framework I created and built with 1 engineer to solve for front-end engineers and visuals designers in Intuit’s central technology group. Enabling them to build internal widgets and platforms quickly and with consistency across teams. v1 concept validated & built in a 3 day innovation hackathon. 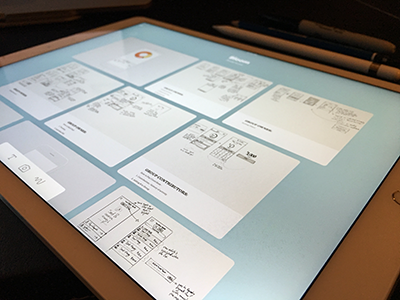 Engineers explored Swift programming language, while I pushed myself to build the entire UI & flows with Sketch3, then fully prototype it with POP App. 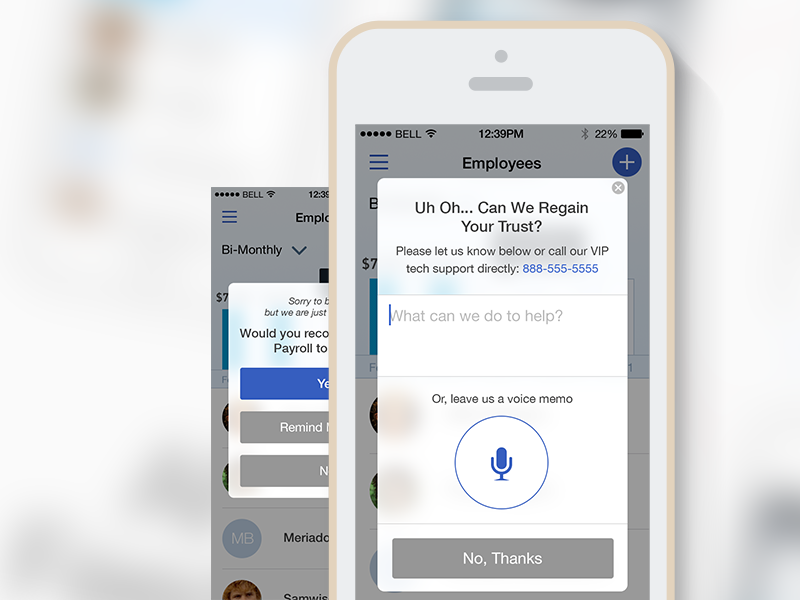 Dialing in the animations & transitions for the returning user experience of our OII widget used within the 2014 TurboTax app. Decided during mid season I still wasn’t pleased with a few UI/UX solutions built into our app., so I took a stab at seeing if I could come up with better solutions for next year. During mid season I still wasn’t pleased with a few UI/UX solutions built into our app., so I took a stab at seeing if I could come up with better solutions for next year. 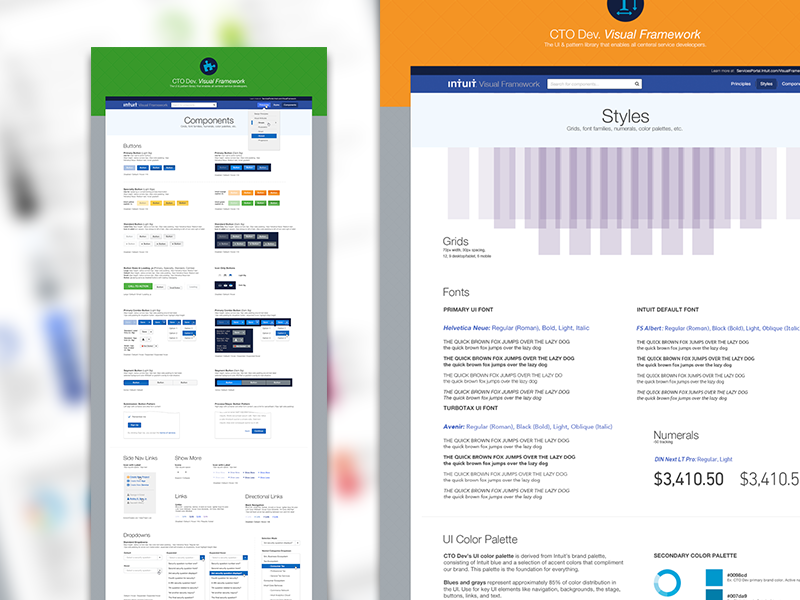 A visual framework I created and built with 1 engineer to solve for front-end engineers and visuals designers in Intuit’s central technology group. 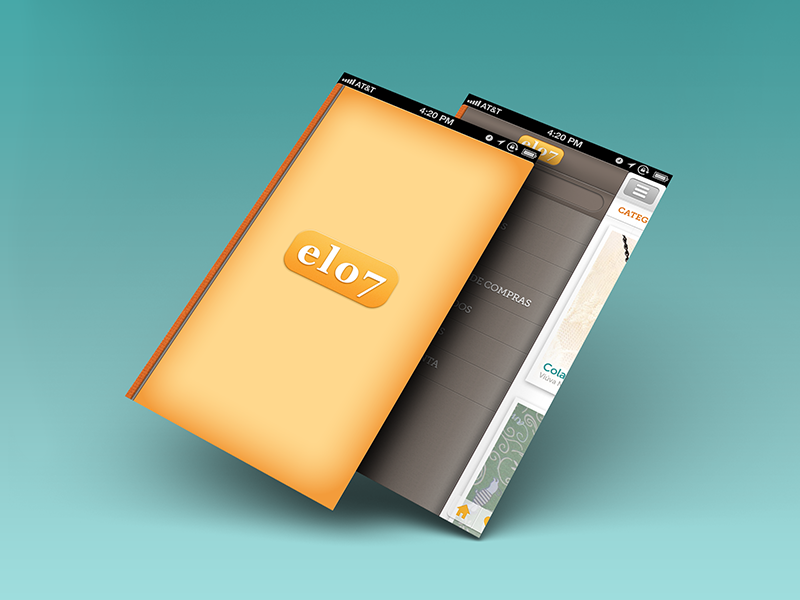 Enabling them to build internal widgets and platforms quickly and with consistency across teams. 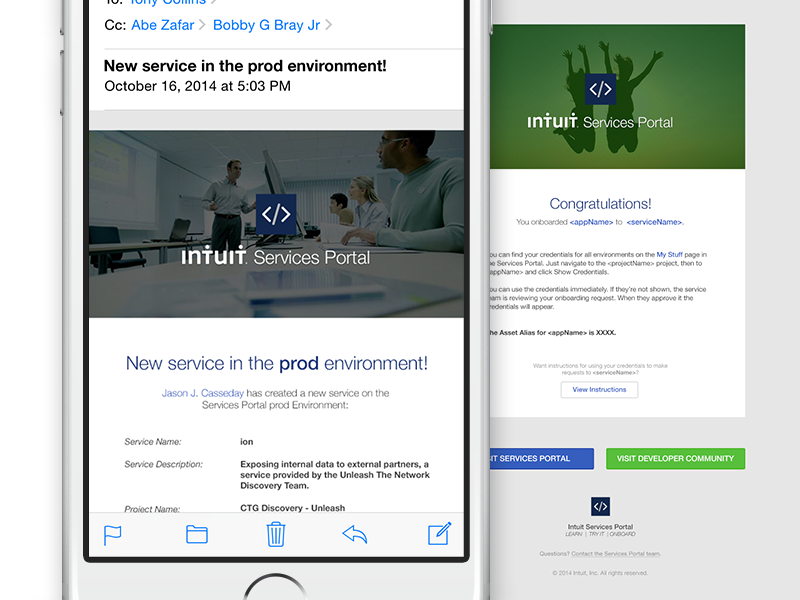 Defined the general structure and responsiveness for email suite, while applying the "coming soon" content to present to the client. 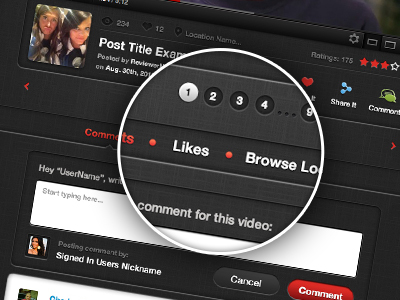 This was part of a much larger UI revamping project I worked on for the company. 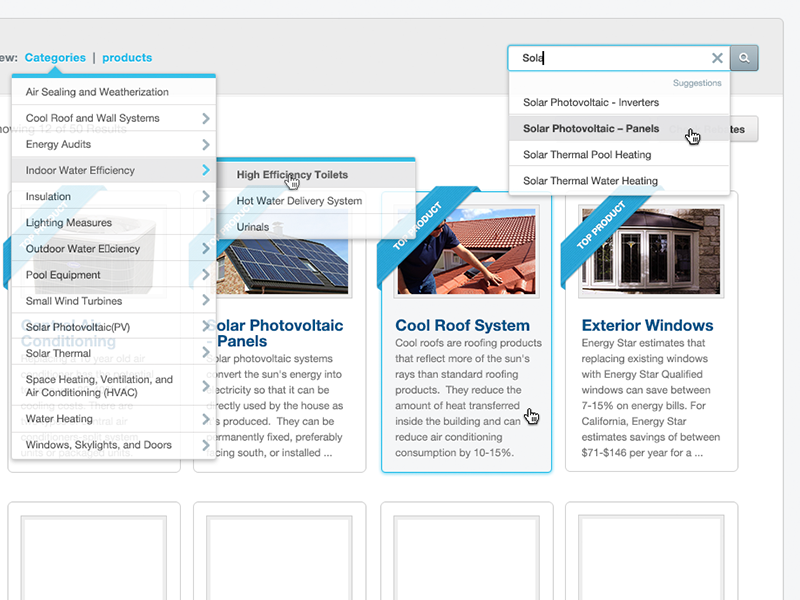 A product page category filter drop down, and search type ahead. 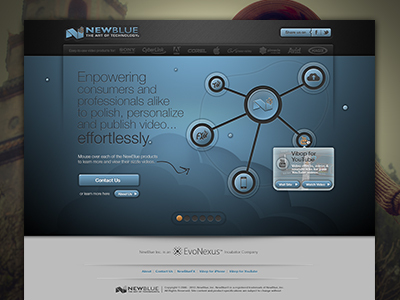 One of many home-page concepts I created as the sole in-house designer for NewBlue, Inc. Doing both the UX/UI I built interactive roll overs that gave brief descriptions with call-to-action buttons about each entity of the business. Main Graphic also demonstrates how the businesses link together as a whole. Actual design ultimately got changed, but this was my more preferred version. 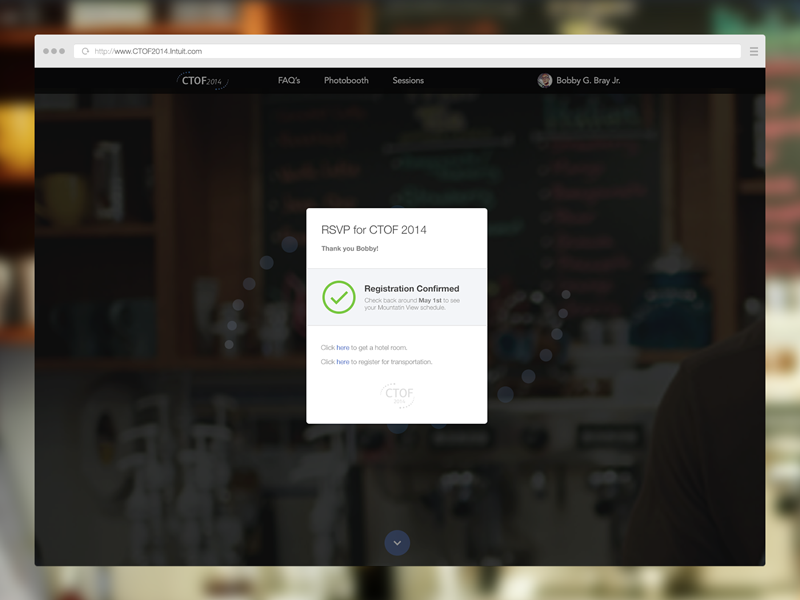 A glimpse of some of the detailed work for the TurboTax authentication experiences for 2014. Created the UI's while working with 1 domain specific interaction designer and his entire team of engineers/PM's, also used the core TurboTax UX team as reference to incorporate this component/widget into all platforms. Took a fully functional buy/sell user-generated site, with style-guide, and made it into a completely native iOS app, in a completely different language. Created the UX/UI and worked with 2 engineers for our internal conference website and app as a side "whitespace" project... here's the confirmation overlay UI in the registration flow once logged in. 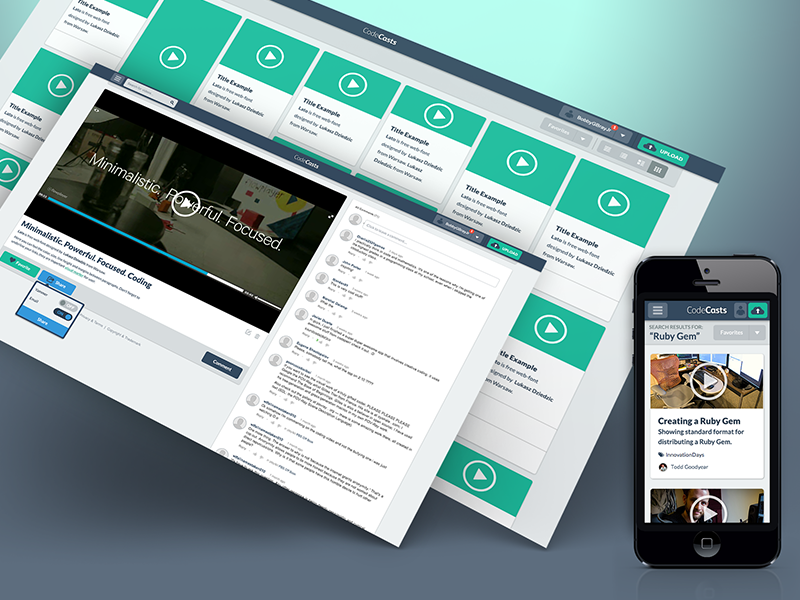 Complete initial site design (UX/UI) for a video sharing platform, working with 1 engineer to create the sites MVP for launch. Thank you! Your message has been received, I’ll try to respond as soon as possible.